The Sun Fire V210 server hosts reliability, high-performance and security in one package. With up to two 1GHz UltraSPARC IIIi processors, this server provides network performance at a reasonable price. The V210 is the industry’s first server with four integrated Gigabit Ethernet ports and the first system to come with a pre-loaded software stack. Custom Configure your Sun V210 now or request a quote on upgrades and/or parts, or contact us at info@vibrant.com or 888-443-8606 with any questions. 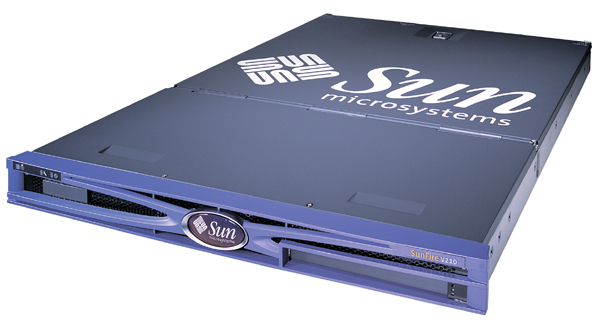 For pricing on new or used Sun Fire V210 servers, upgrades or parts, please contact Vibrant sales at sales@vibrant.com or call 888-443-8606 or 952-653-1700.